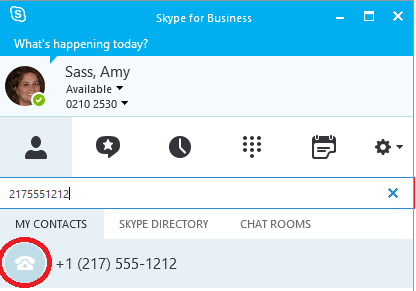 Adding a customer with only a phone number to Skype for Business. 1. 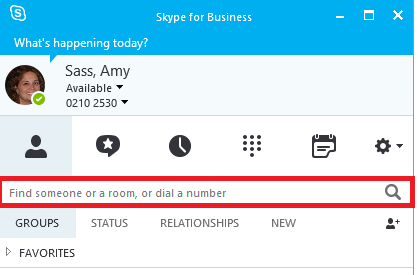 In the search box on the Contacts view in Skype for Business, type the phone number of the contact you would like to add. 2. 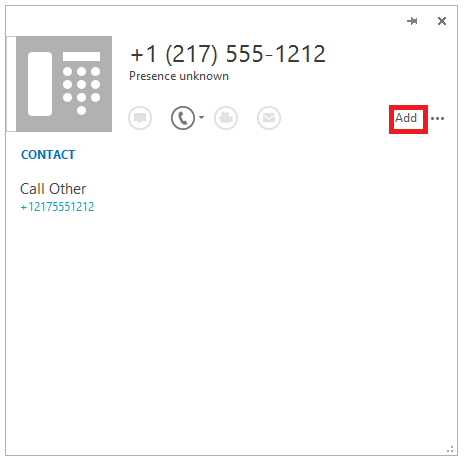 When the telephone number appears, hover over the telephone icon on the left. 3. Click the More options button (button with three dots) on the right. Select to “Add to Favorites” or “Add to Contact List”. 4. 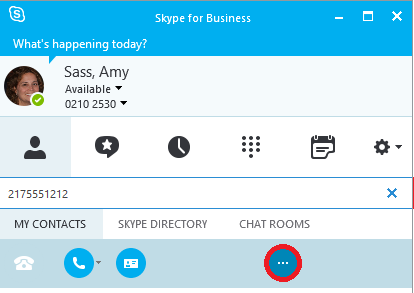 Right-click the new contact and select “See Contact Card”. 5. Once the contact card opens, click “Add” in the upper right.